A developer is to be considered the foundation of any successful eCommerce business. Any serious business should have their go-to developer, whether “in-house”, working remotely as an individual or part of a team. I have +5 years of accumulated experience hiring dozens of Server Admins and eCommerce Developers to work along with me on complex projects, hopefully this guide helps you avoid some pitfalls in the industry. A developer “speaks” computer languages, hence as in real-life: it’s very unlikely that someone will major in 3+ languages and mastering them all. Example of Majors: PHP is a language, Java is a language, Python is a language. Now add to that a Framework platform as Elective (Magento for example). In 2016 very few will be creating a project from scratch without Framework, it’s just not cost-efficient. It’s impossible to master all these languages as an individual developer. This point leads to a personal discussion with the developer, which will also give you a chance to judge their comprehension level and professionalism during your exchanges. When you reached step 2. You already engaged in a discussion with your potential developer. Developers will most likely prefer written exchanges over phone exchanges. Why? Due to the technical aspect of things, it’s not that easy to instantly process and elaborate a constructive answer. 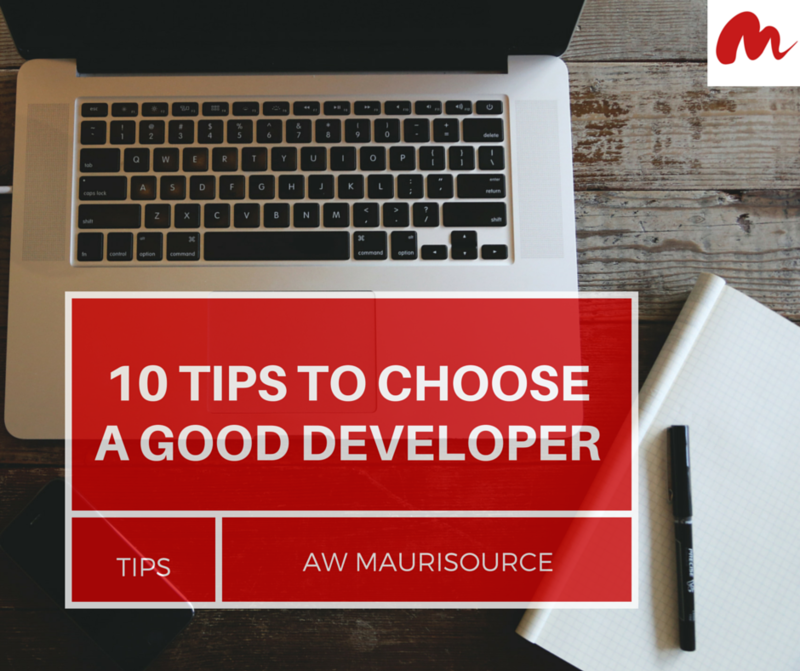 Your best bet would be Chat / Email discussions for screening developers at first. NOTE: Don’t try and speak technical language with with them if you don’t know what you’re saying. This is not helpful (honestly developers hate that and prefer a simple language exposing the business needs.) They will do their “Techy” language translation on their own. What is your hourly rate ? How much hours are you ready to devote to me every week / month ? For bullet point 2; it’s crucial to know this element as nothing is more annoying than an over-booked developer that make you feel that your project is the lowest of their priorities. Do your research to know the hourly rate the industry is performing, as proposing an unreasonable hourly rate from your end will result in immediate rejection. If you don’t know, do not impose a hourly rate – just ask for a lower rate. Pro tip: Make sure that on their retainer, the hourly rate and the devoted hours per week/month are specified. Discard a retainer if you never worked with the developer before. Avoid yourself from being stuck to their services. Due to virtual and invisible nature of things, you don’t want to be spending hours in trying to figure out if their costs are justifiable. As a client you shouldn’t worry whether an invoice is legit. In fact the developer should be tracking their time properly. #1- Ask them to use tools like Toggl. You’ll be able to see when the time-tracker is activated and and a brief description of the task logged. At the end of the month, you will trust the hourly report and stop questioning the invoice. Note: It’s fine if they are not using Time-trackers. In this case, make sure that a budget has been set upfront for each assigned tasks! Developers can’t be working directly on your live production environment. Even they claim to be a guru at what they do, errors are 99% human’s and many things could go wrong! There’s some ethical code to follow in programming. Should I be hosting the Staging environment ? Short answer is YES, you would want it to be on the same server than your production website IE: staging.yourwebsite.com even if you’re being charged for the environment setup it’s definitely worth it! Why? I’ve tried developers who works on their own staging server, and while deploying their codes LIVE many error occurs such as the PHP or Mysql version being different. Do you want to deal with those issues and create more delays? Host the Staging environment and it would not eliminate those issues, but give you also full control over fully-testing your project. Pro tip: Ask if they have knowledge of version control. Such as .GIT, it’s like a web development code history which tracks every changes happening code-wise. It becomes practical when you have multiple developers working together on different aspect of the project at once. It will prevent each other from erasing their progressions. Can be accessed nowadays from their Linkedin profile. It’s easy to see their Education Level, certifications and past experiences. If you’re doing it via Linkedin, don’t forget to add them to your Connections so that they are aware that you checked their profile! Let’s face it, this is not your jurisdiction, you have business ideas to implement. But who is better placed to give you real-life feasibility report? The developer of course. The developer who is asking questions towards your requirements, and advising you constantly if there’s a better/smarter way of doing things is the one you should keep! They are the kind devoted to your success and want to be part of it. Would you hire someone that delivers what was asked from him, but didn’t warn you of potential flaws or arising limitations ? After all, it’s just a question of how well the developer understands the core of your business, and their skills to adapt your business goals to the project! With this list on hands, I’m sure you will be able to find your next developer as your success partner. Aside of finding solution for problems in the eCommerce industry, I enjoy traveling, photography, water-sports and gaming.